Okay, here is the interesting thing about this book. For a good 85 to 90 percent of it, I wasn't that into it. This book is half political and half love story, and the political parts just did not intrigue me. (Though I did enjoy Fowler's depictions of Saigon and the rest of the country.) There is sort of a love triangle, but the difference here is that I didn't like either of the men! But then the ending happened. And I was mad. And I'm still mad! And I finished the book hours ago. 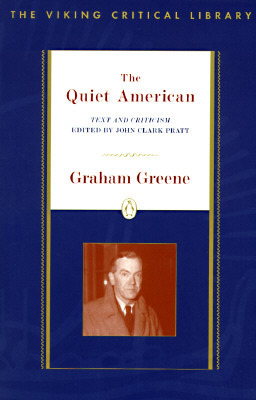 So I applaud Graham Greene for that. I thought I didn't care, but apparently I do, since I'm still fuming!! Sadly, I can't tell you what I'm mad about because it will spoil the whole thing for you. But I can say that I am very very very disappointed in one of the characters and upset about the ending because of it. This book does bring up all kinds of questions about what is right. For a person. For a group of people. For a war. Greene is also a great writer -- I really enjoyed as I said before, his descriptions and also his analogies. I can see why this book has stood the test of time.